Colors and flowers make any hairstyle a cut above the rest! 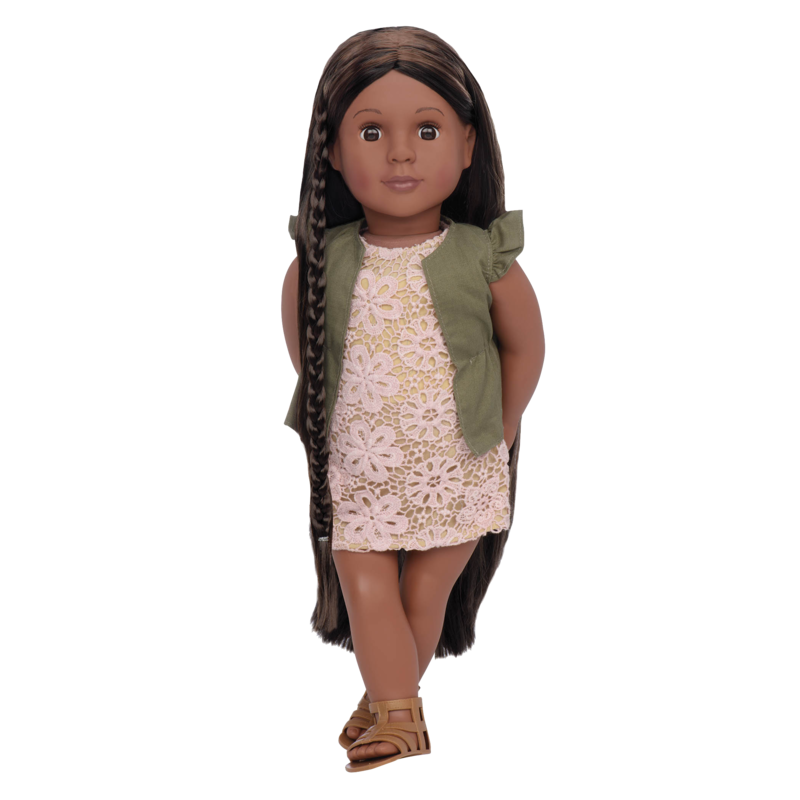 Add color, fun, and creativity to your next hairstyle with Neveah, a beautiful 18-inch Our Generation Hair Play Doll. 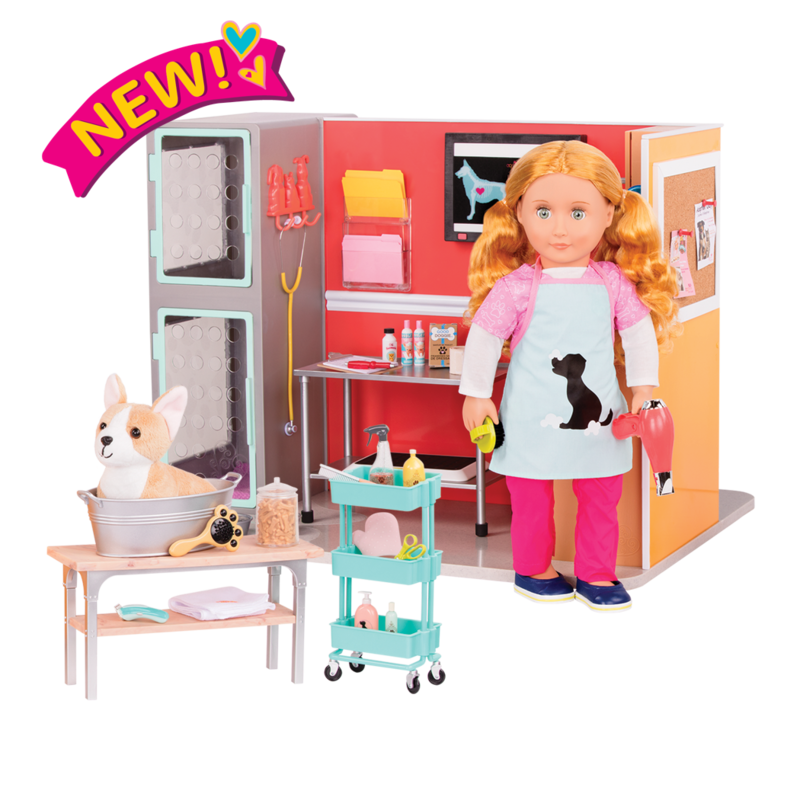 This Hair Play doll is designed for endless hours of hairstyling fun! 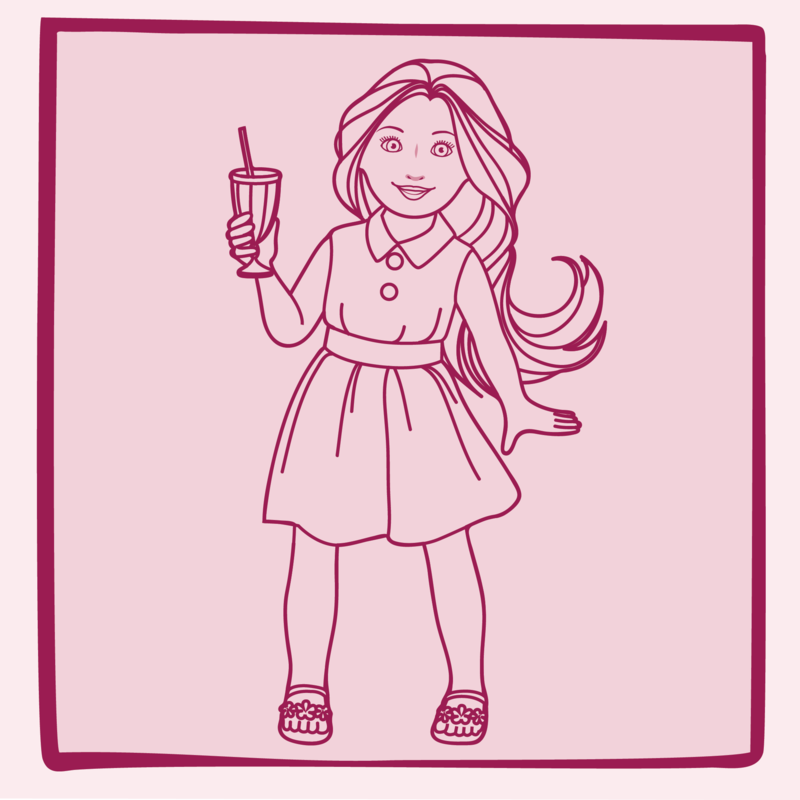 She has pretty brown eyes and ultra-long, beautifully silky dark-brown hair with long, extendable braids that can be made longer or shorter with the push of a button (but please don’t untie them!) 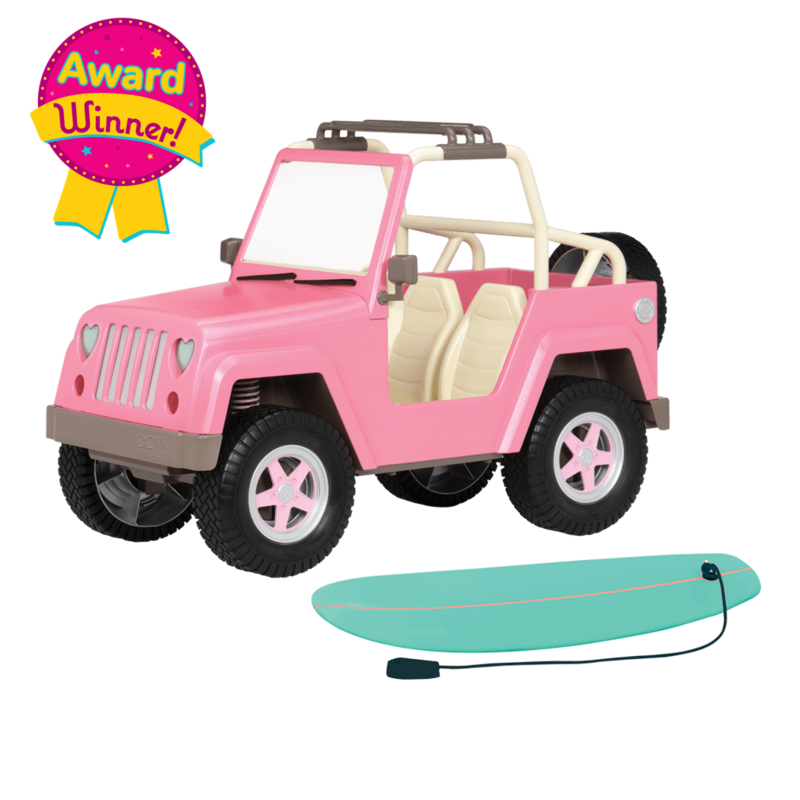 Neveah comes with hair clips, hair extensions, and accessories so that you can practice lots of different looks again and again! 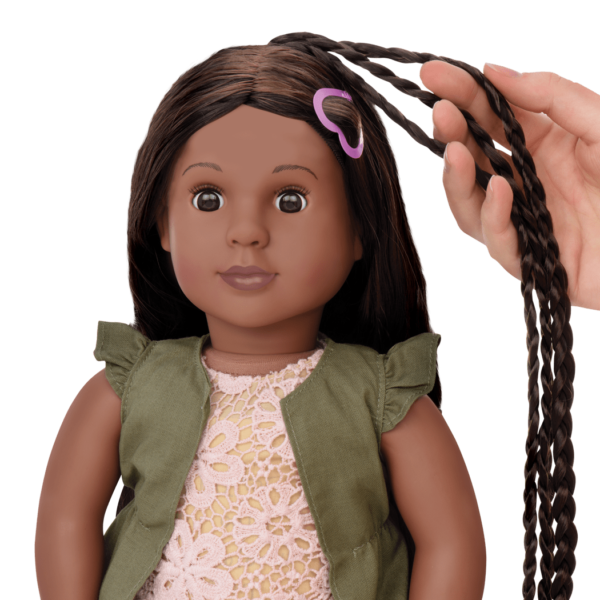 With Hair Play dolls like Neveah, your imagination is all you need. 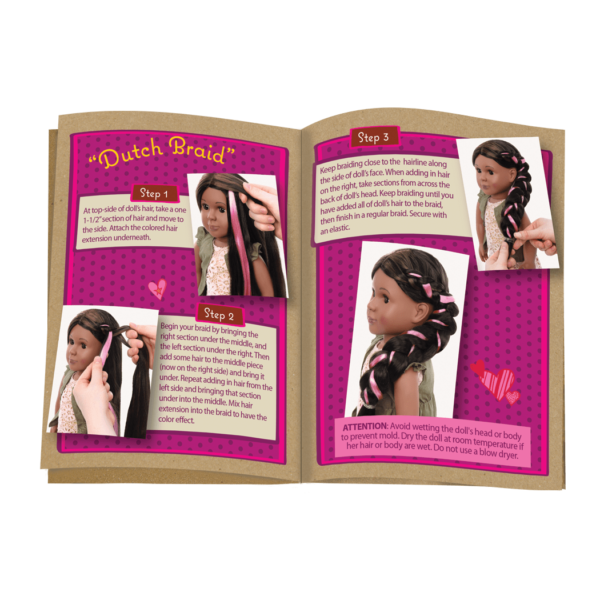 Hair Play dolls are perfect for kids who love to style hair, and there are lots of other accessories to help you! 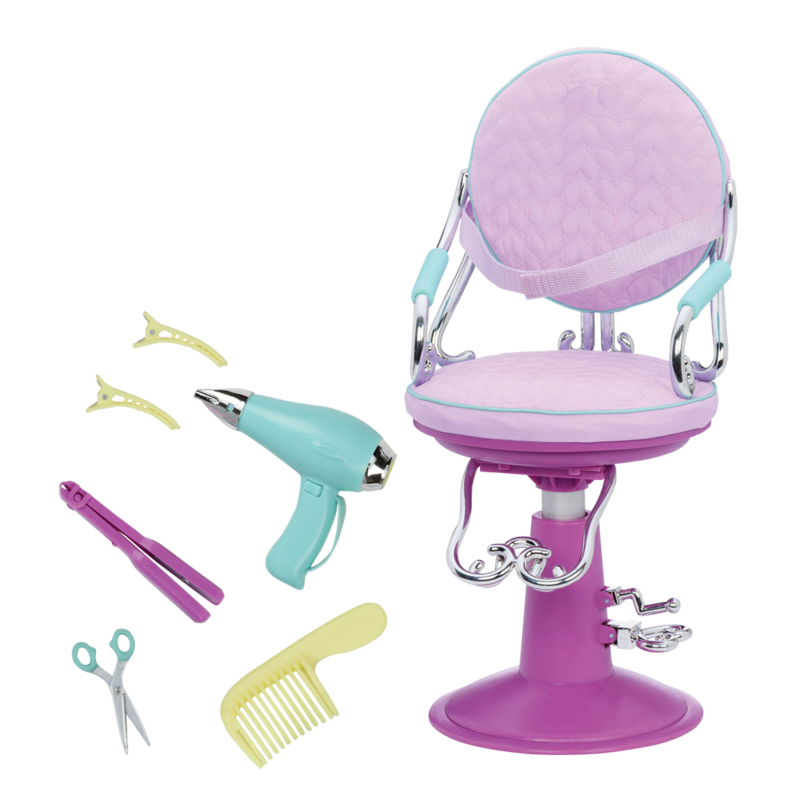 Check out the Sitting Pretty Salon Chair, the perfect seat for your dolls while you practice new styles. There’s a strap to help hold them in place while you work! Add a little extra dazzle to your doll’s hairstyle with the brightly colored hair accessories Rock n’ Sweet Hair Set! There’s lots of fabulous hair clips, bows, and more! A new hair-do deserves a fun new outfit to wear! 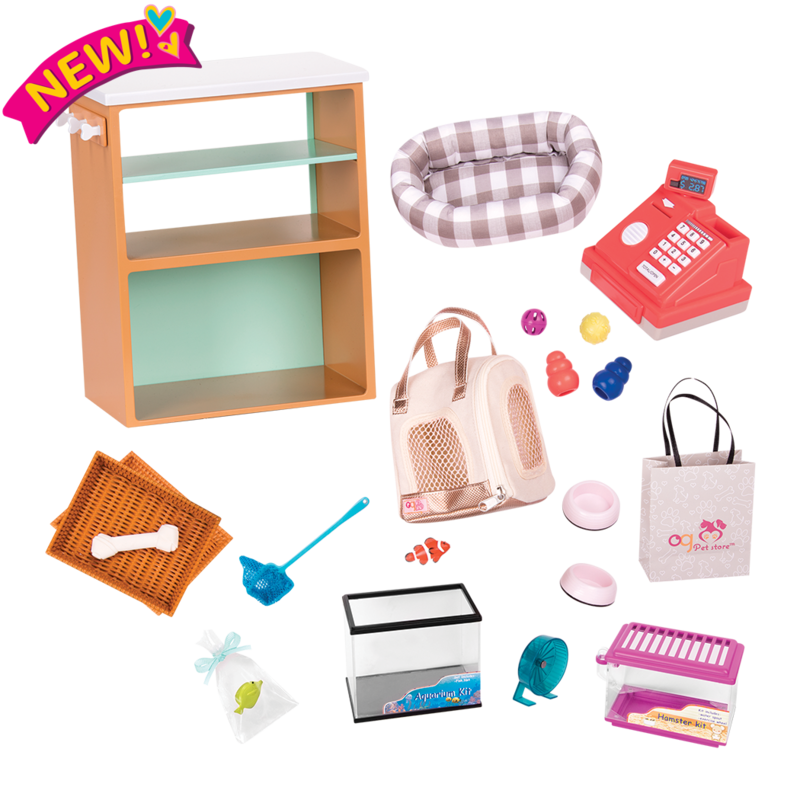 There are lots to choose from – check out the entire collection of Our Generation Outfits and choose just the right outfit for your 18-inch doll!